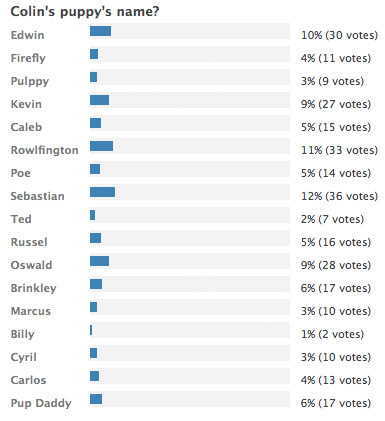 Here are the results from the Colin’s Puppy’s name poll that was on the My Cardboard Life facebook page. The winning name was Sebastian. So that is the puppy’s name now. I think we made a good choice! It suits him. As much as I LOVE the name Sebastian, I thought Caleb suited him better. Oh well, majority rules I guess. 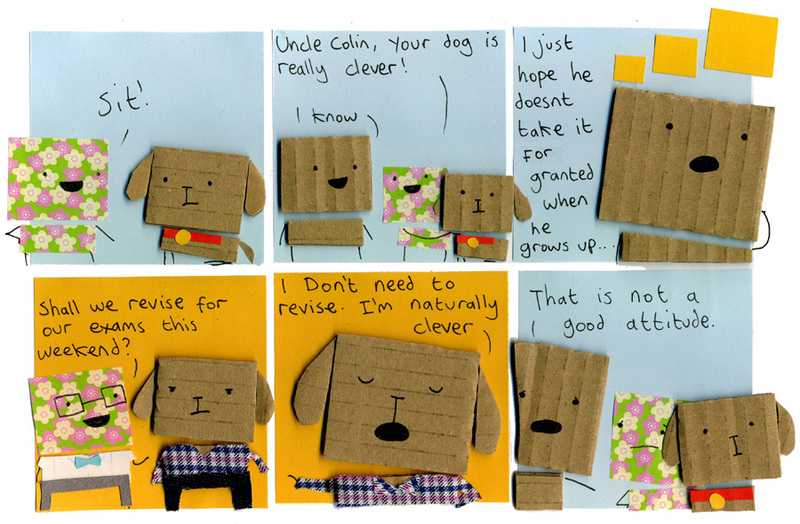 ahhhh i love the grown-up puppy ones! I much preferred Russel, because of the wordplay. As in, rustling paper. Oh that Sebastian! He is teenage heartache waiting to happen. I didn’t get to vote in the poll but I deffo would have picked Sebastian, it works soooooo well! Well, I voted for Kevin, but I still really like Sebastian. I would’ve picked it as my second choice. I agree that is suits him. Great comic by the way! Woo! My name is Sebastian! I would’ve called him Li’l Col’.